As today's classrooms become increasingly diverse, the number of students learning English as a second language continues to rise. These students deserve teachers who are dedicated to providing an exceptional education through proven, innovative teaching methods. With an emphasis on practical means of improving student learning, Trevecca's Master of Education in English as a Second Language (PreK-12) will provide you with the necessary skills and knowledge to be an effective educator in today's shifting culture. Designed to provide an overview and an awareness of issues and trends related to special education that will assist regular education teachers in meeting the needs of all students in their classrooms, especially those who are at-risk or may have disabilities. General characteristics and the educational impact of various disabilities across age and severity will be explored. Information concerning educational services and current research about students with disabilities will be discussed. Students will actually explore a variety of methods, strategies, and tools that will help them acquire the instructional skills to identify, create interventions, participate in the special education process and make classroom accommodations and/or modifications for students that may have disabilities. This course examines public school law and educational policy as they affect teachers' rights and legal responsibilities to students and their families. Content will include an examination of students' legal rights and ethical parameters of teaching and common sense practices to direct/inform the teacher. Content to build cultural competency including but not limited to English learners, race and ethnicity, and gender will be studied and applied. Applicable state, federal, and case law affecting schools is reviewed from organizational, historical, and professional dimensions. Explores the accepted theories of language learning and acquisition. The distinction is made between learning and acquisition as it relates to efficient language application and use. Distinctions are also made between communicative language learning and academic language learning and the instructional supports required for each. This is an applied theory course with significant reading and which provides a theoretical framework for the remainder of the coursework in this major. Understanding how language is learned and acquired is fundamental to language instruction. The importance of socialization in the target language with transitional supports in the mother tongue is also explored. Examines the currently used models of ESL instruction from a variety of school boards and regions. These models are examined in light of language learning theory. Models of integration, inclusion, and other models of differentiated instruction are examined and students are expected to not only understand the differences but to also understand the implications for effective language learning. Cross listed as EDU 4215. Considers the principles of curriculum design as they relate to language learning within an authentic learning environment. Rather than creating inaccurate learning environments with controlled language input, this course explores the efficiency of maximizing comprehensible input in order to produce comprehensible output. Contextualization of language application and use are central to this course and candidates will be expected to design actual curriculum units within an authentic language context. Integrated approaches to grammar, vocabulary, pronunciation, and writing are examined and used by candidates to design their own authentic language course. Focuses on the relationship between culture and language, both oral and written, and examines the importance of identifying key cultural traits of ESL students' home culture for instructional scaffolding. Affirmation of home culture as well as multicultural issues such as integration, acculturation, and assimilation are examined as they pertain to ESL teaching and learning. This is a research course. Language proficiency assessment for placing is not the same as evaluation of language demonstration and use. This course examines the differences between the two and combines methods with outcomes evaluation. Assessment for "placement" is compared with evaluation of outcomes. Placement is also examined in light of authentic language learning within a school setting. Candidates are expected to understand the various methods as well as produce samples of assessment and evaluation strategies. Cross listed as EDU 4225. Examines the importance of instructional scaffolding for ESL students and looks at how new technology can facilitate this approach. Candidates experience various methods using new technology such as the Internet for instruction and various forms of distance education for language learners. This course provides access to new software, online resources, and synchronous and asynchronous methods in technology mediation. Language practice through mixed media input is demonstrated as well as the role of rote practice for pronunciation. A descriptive linguistics course which focuses on understanding phonologic, syntactic, semantic, and pragmatic aspects of language as they apply to an understanding of any ESL student's native language. Language transfer issues for ESL students are examined in both the oral and written domains to provide appropriate instructional scaffolding. The course also considers the significance of sociolinguistic and psycholinguistic aspects of language learning. This is a research course. The e-portfolio, a web-based electronic tool provided to candidates at the beginning of the program, is considered a work in progress throughout the graduate program. This web-based electronic tool provides the candidate powerful resources for reflecting, synthesizing, and evaluating course experiences during the duration of the program. Candidates are provided a course syllabus and framework for completing the e-portfolio. This e-portfolio will be presented during the final semester of the program and is required for graduation. A pass/fail grading system will be used. Candidates will complete at least 30 clock hours in ESL classrooms. The field experience will include both PreK-6 and 7-12 settings. Candidates will observe, assist, tutor, teach, and apply what they have learned from relevant courses. Appropriately supervised teaching experience of at least one semester in a PreK-12 ESL classroom may be substituted for the field experience. For individuals wishing for an add-on endorsement in English Second Language (ESL), thirteen (13) hours of coursework and a passing score on the Praxis II English to Speakers of Other Languages are required. All ESL Endorsement courses are offered in an online format. The endorsement can be completed in one summer by taking two classes at a time or in two semesters (Fall and Spring). Submit one official transcript. Transcripts marked "Issued to Student" are not recognized as official transcripts. Official transcripts must be mailed directly from the university granting the degree. Submit copy of teaching license. Submit proof of fingerprinting and complete successful background check. Complete a successful interview with the program coordinator. Will the ESL Endorsement program lead to licensure? Applicants already holding a current teaching license can earn an ESL endorsement. How does the endorsement process work? Once all coursework is complete along with successful completion of the ESL PRAXIS exam, a recommendation for ESL endorsement will be submitted. Are transfer credits accepted into the ESL Endorsement program? Due to the brevity of the ESL Endorsement program (13 hours), transfer credits are not accepted. Do I have to have my teaching license to be qualified for the ESL Endorsement program? To add an ESL endorsement, you must hold a valid teaching license. Does my teaching license have to be from TN to be qualified for ESL Endorsement program? No; however, if you are seeking an ESL endorsement and do not hold a TN license, the ESL program coordinator can guide you through the process. Does my previous degree have to be in education to be qualified for the ESL Endorsement program? Yes, the endorsement is only appropriate for education majors. How many classes will I take at one time? This depends on whether you take the summer program or the Fall/Spring program. Summer classes are taught two at a time; Fall/Spring courses are taught one at a time. What is the maximum amount of hours I can take at once? Seven hours. What if I used to be a teacher and I have been out of the field for a certain amount of time? To add an ESL endorsement, you must hold a valid teaching license. Does the ESL Endorsement program require passing a PRAXIS exam? Yes, to earn the endorsement, you must pass the ESL Praxis exam. What is the passing score on the ESL Praxis test? Passing scores for PRAXIS exams can be easily located here. What is the attendance policy for this program? The courses are completely online and follow the attendance policy of all online courses at the University. Are there any extra fees? Yes, there is a $50 technology fee per course, plus the cost of textbooks. Is Federal financial aid available for the endorsement? Financial aid is available for the ESL Master’s program. Can I begin the endorsement and then switch over to the master’s program at a later date? Yes. Is a field experience required? Yes, the ESL Master’s program requires 30 hours of field experience to be completed in classrooms with ESL endorsed teachers. Can I complete the field experience observation hours prior to taking the class? Field experience hours are to be completed during each specified course. Will this degree lead to an ESL endorsement? Yes. Applicants already holding a current teaching license can earn an ESL endorsement. Must I have a teaching license to enroll? No, you can earn the degree without a teaching license. However, if you wish to obtain the ESL endorsement, you must hold a current teaching license to which it can be added. 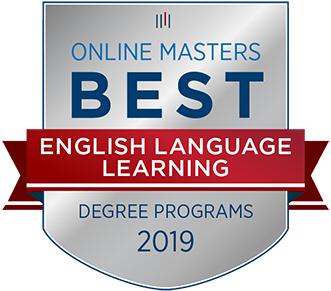 Does the ESL Master’s program offer an ESL endorsement only option without pursuing the degree? Yes. How many transfer credits will the ESL Master’s program accept? A maximum of six credit hours may be transferred into the ESL master’s degree with ESL program coordinator’s approval. Does my teaching license have to be from TN to be accepted into the ESL Master’s program? No; however, if you are seeking an ESL endorsement and do not hold a TN license, the ESL program coordinator can guide you through the process. Does my previous degree have to be in education to be qualified for this program? Only if you are seeking an ESL endorsement. Does the ESL Master’s program require passing PRAXIS exams? Only if you are seeking an ESL endorsement (one exam). What is the passing score on the ESL Praxis test? Passing scores for PRAXIS exams can be easily located at https://www.ets.org/praxis/tn/requirements/ . Are there any extra fees? Yes, there is a $50 technology fee per course, a one-time portfolio fee, plus the cost of textbooks. Is Federal financial aid available for the Master’s program? Yes. How long does it take to earn the degree? Generally, the ESL Master’s program can be completed in four semesters. It is also possible to complete it in three semesters, if the endorsement classes are all taken in the summer. How often will I need to come to campus? Once, for graduation! As today's classrooms become increasingly diverse, the number of students learning English as a second language continues to rise. These students deserve teachers who are dedicated to providing an exceptional education through proven, innovative teaching methods. With an emphasis on practical means of improving student learning, Trevecca's Master of Education in English Second Language (PreK-12) will provide you with the necessary skills and knowledge to be an effective educator in today's shifting culture. Addresses developmental stages within the context of major learning theories. The psychology of learning includes motivation, humor, strategic learning, anchored instruction, mediated learning, metacognition, brain research, classroom organization, management, climate, and communication for effective teaching. Submit one copy of official transcript. Transcripts marked "Issued to Student" are not recognized as official transcripts. Official transcript must be mailed directly from the university granting the degree. While earning your degree with Trevecca Online, you will learn innovative and practical teaching methods that will make you both a better teacher and a better leader. Whether on campus or online, you will be surrounded and encouraged by a community of passionate professors and students who desire to help you succeed. As an educator, you know the importance of different learning styles. With Trevecca Online, you will have the opportunity to use the learning style that works best for you while learning at your own pace. You will also have unique hands-on instructional opportunities in your local schools that will help you improve your instructional and administrative practices.